If the windshield wipers on the car aren’t in the best condition, then it can lead to poor visibility while driving in the rain or when it’s snowing. Between the cold weather in winter and the warmer weather in spring, you should check the windshield wipers for any damage or let Road Runner Auto Care in Apple Valley check them so that you know if they need to be replaced. One of the signs of poor wipers is that they scrape the windshield. This can cause streaks to occur on the glass and a loud noise that occurs when the wipers are in use. The noise almost sounds like screeching. The moisture on the windshield should be cleared away with ease by your wipers. If it lingers while the wipers are on, then you should get them replaced. 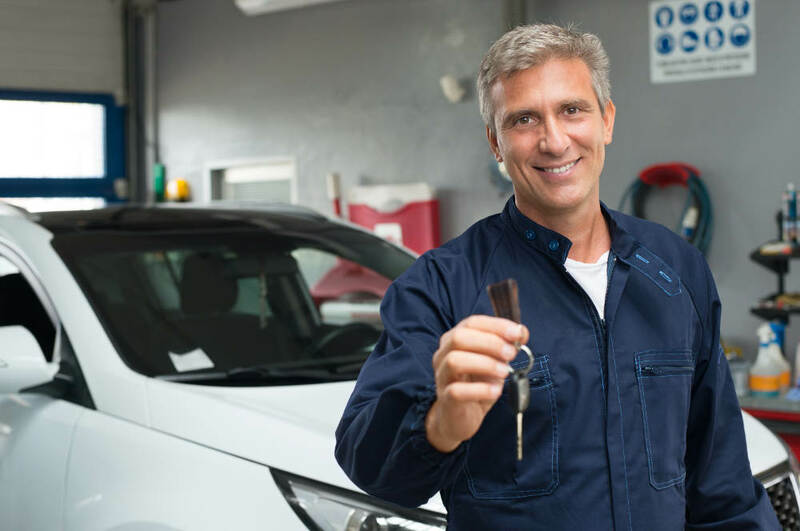 Road Runner Auto Care in Apple Valley can offer suggestions about the type of wipers that should be used as some brands last longer than others. While you’re driving, a small pebble or even salt and sand from road trucks after snow and ice can damage the wipers. Most of the time, the damage causes the wipers not to work properly and can even break one of the wipers. Your wipers should glide over the windshield instead of forcibly clearing away moisture. 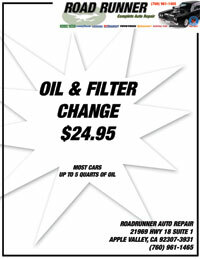 Road Runner Auto Care in Apple Valley can examine the windshield wipers and the motor that operates the wipers to determine if there is an electrical issue. When the wipers have been on the car for an extended period of time, they can begin to lose the covering on them that allows for an easy movement from one side to the other. You can look at the wiper blades to see if there is any visible damage as well, which would mean replacing them so that you see the best results when the wipers are in use.